In order to appreciate the spectacularity of ‘the third pole’, ambitious people come here from a great distance desiring to realize the dream of challenging the utmost limits of human being. And that is the charm of Everest. 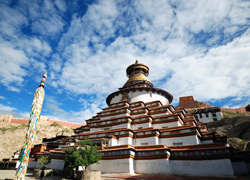 It is the pride of Shigatse that has become one of the most charming tourist attractions in Tibet. Located in the alluvial plain at the confluence of Brahmaputra and Nianchuhe rivers, Shigatse is 273 kilometers west to Lhasa. 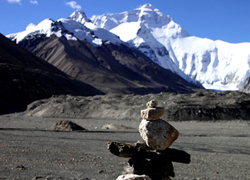 At an elevation of 3,800 meters, with the area of 3,875 square kilometers and population of 820,000, it is the second biggest and the only county-level city in Tibet. Tubo Regime. The 11th century had seen the Buddhism spreading widely and Lhasa became the center for many eminent and learned monks to preach the religion. 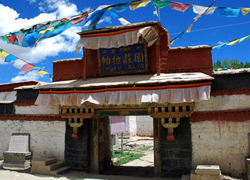 In the time of the 7th Dalai Lama, a very famous palace, Norbulingkha, 2 kilometers away from the Potala Palace, was built. Shigatse is the most colorful area in Tibet with vast grasslands, fertile fields in river valleys, flourishing semitropical jungles and snowfields at high altitudes. Shigatse is the most colorful area in Tibet with vast grasslands, fertile fields in river valleys, flourishing semitropical jungles and snowfields at high altitudes. The famous scenery spots include Xiqin Spring, Yatung Spring, Yongzelucuo Lake, Tashilumpo Monastery, Palkor Monastery in Gyantse, Sakya Monastery, Pingcuolin Monastery, Juenang Monastery, Pala Manor and etc. Gtsang New Year in Tibetan calendar, also called “Farmers’ New Year”, starts on the 1st of November in Tibetan calendar, generally at the beginning of the first month according to the Gregorian calendar. It’s the end of the whole year’s hard work, when crops have been harvested and farmers are sharing the happiest moment. Gtsang New Year in Tibetan calendar is deduced from the Buddhism calendar, it’s also an old festival based on the husbandry activities. Activities during the festival are closely related to the husbandry.